It’s Prime Day! Amazon’s annual super-sale event is on, and it’s a great time to stock up on basic and beyond supplies for every corner of your house. 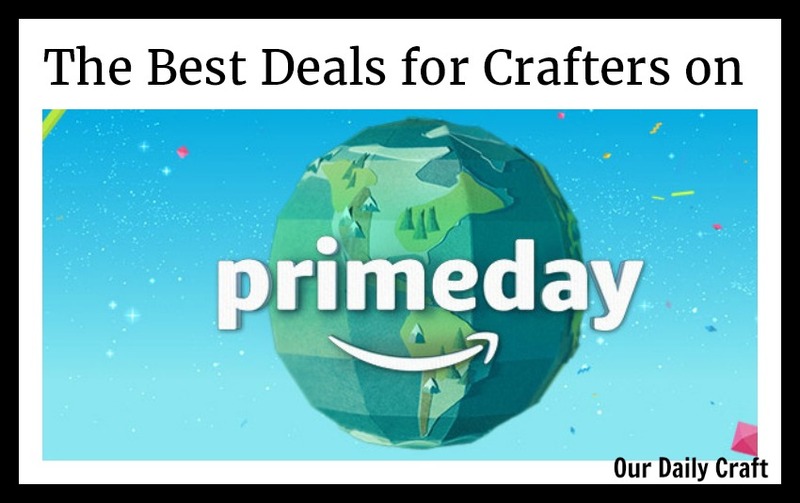 There are lots of great deals for crafters to be had on Prime Day. Here are a few of the things that jumped out at me. I mean, everyone can use more Sharpies, right? This set includes 24 different colors, in the fine point style, which is perfect for adding details to projects. 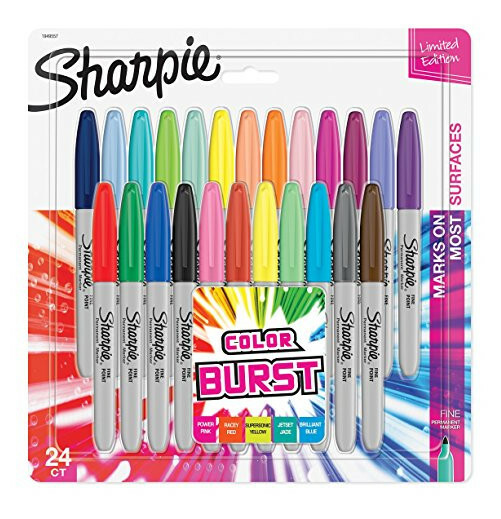 The set includes five limited-edition Color Burst colors (Power Pink, Racey Red, Supersonic Yellow, Jetset Jade and Brilliant Blue) as well as 19 classic colors and usually retails for $9.69. There are actually so many great art supplies on sale it’s hard to narrow it down. 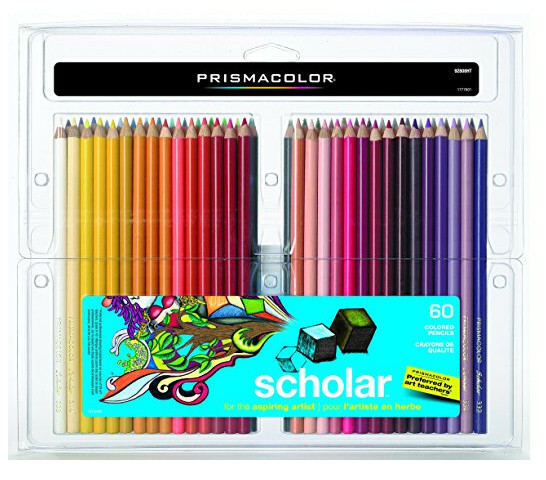 I’d go for the Prismacolor 60-count colored pencils, because they’re my favorite brand. This set normally retails for $19.99. There are really so many more great things I can’t mention them all, but go check out the art tools when you get a chance. 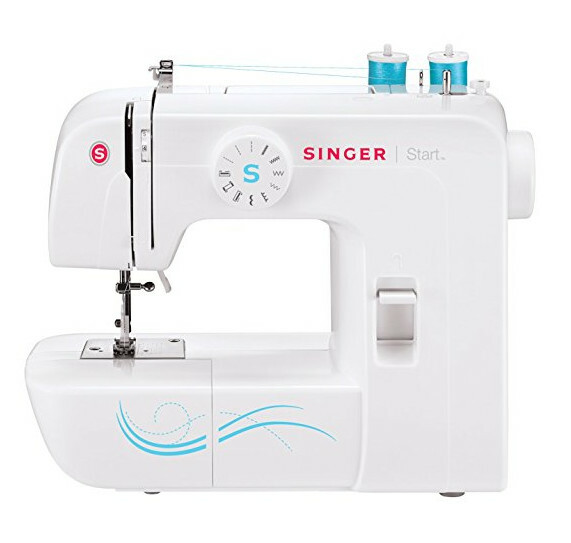 There are also two Brothers on sale: the more entry-level XM1010, with 10 built-in stitches and a four-step auto-sized buttonholer, which is rare to find on beginner machines; and the HC1850, a computerized sewing and quilting machine with a whopping 130 stitches, eight presser feet included, a detachable wide table for quilting and even a basic font for doing monograms. This one is super tempting, I tell you. Another interesting item I saw in the Prime Day list was light boxes. These beauties are a great help when you need to trace something. 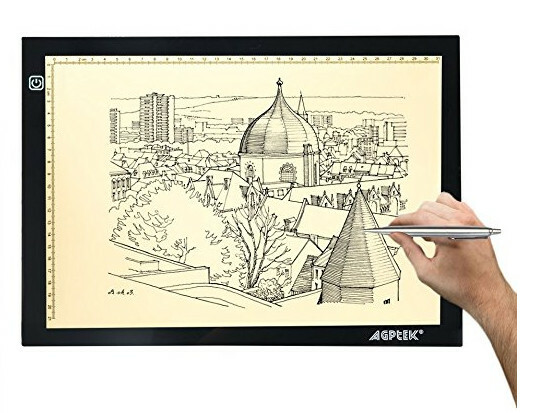 I have never been able to justify having one, but they sure would come in handy when tracing things to turn into cross stitch or knitting designs. Or How About a Really Cool Table? Isn’t this craft table amazing? 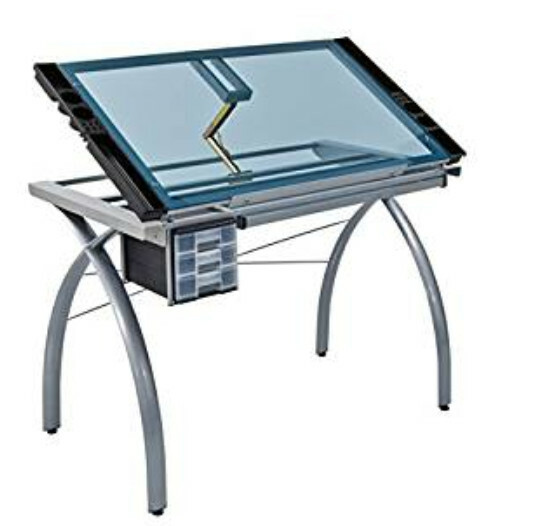 The Studio Designs 10050 Futura Craft Station can be a flat table for crafting and drawing, or you can adjust it to 35 degrees for drafting. It has three storage drawers that can be mounted on the right or left side, and you can purchase leg extensions to turn it into a standing desk. Plus that blue glass is pretty awesome. Did any Prime Day deals catch your eye? I’d love to know what you’re shopping for!